On the west side of Hwy 17, across from Eastport is River Hills Golf and Country Club, a sprawling community of several distinct subdivisions and many luxury estate homes on the greens or with views of several lakes and ponds. River Hills is an 18 hole unique golf course that takes advantage of heavily wooded greens, and a rolling hill terrain. Natural and created ponds and lakes meander throughout the course, and homes surround all of it. River Hills Country Clubhouse is a 6000 sq ft recreation facility that includes a pro shop, on-site bar and grill, and pool. 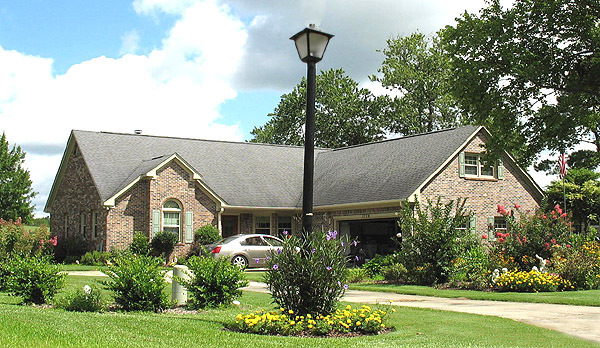 Homes are often elegant brick, with lots varying in size from an acre to an average sized homesite overlooking the greens. 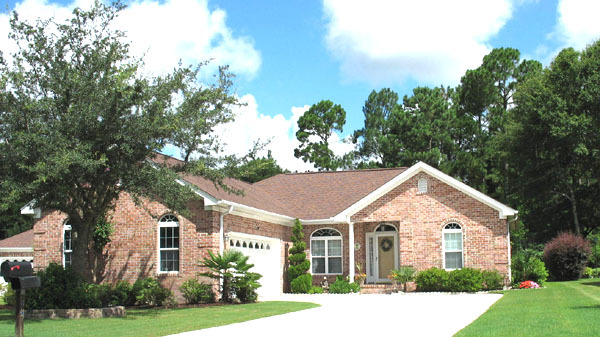 Some of the more exclusive homes are in the subdivision of Woodberry, which offers views of the greens, lakes, and is located near the entrance. Homes in River Hills are around 15 years old, but there are a few lots scattered throughout for new home construction. Prices can run from the low $200's to just under $500,000 depending on square footage and lot size, as well as the location in the community. At the entrance, there is also a small condo complex called Greenside Villas, situated on a gorgeous lake, with large screened porches and a seating area on the pond's edge. The Villas have their own pool and HOA, and can be as large as a 3 bedroom 2 bath unit. Average prices are just above $150,000 for these condos, and it is rare to find one for sale. See any available condos at Greenside Villas with THIS LINK. 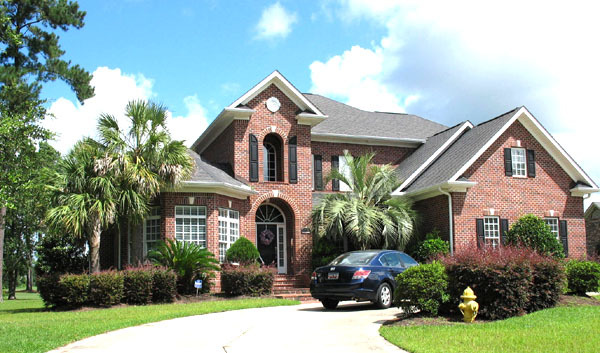 River Hills is one of the most desirable communities in Little River or even in North Myrtle Beach. You owe it to yourself to check out these beautiful golf course homes. Call us for more information or to tour the available homes.